Experience a better shower with the control and flexibility of a Delta® hand shower. Great for showering yourself or your loved ones and pets, as well as for keeping your shower and tub clean. Delta® Palm® Showers put control in the palm of your hand with an ergonomic design built to help make showering easier for everyone, whether showering yourself or a loved one. The Palm Shower simply slips over your hand, helping to prevent drops, while the push-button spray selection allows for simple, one-handed operation. 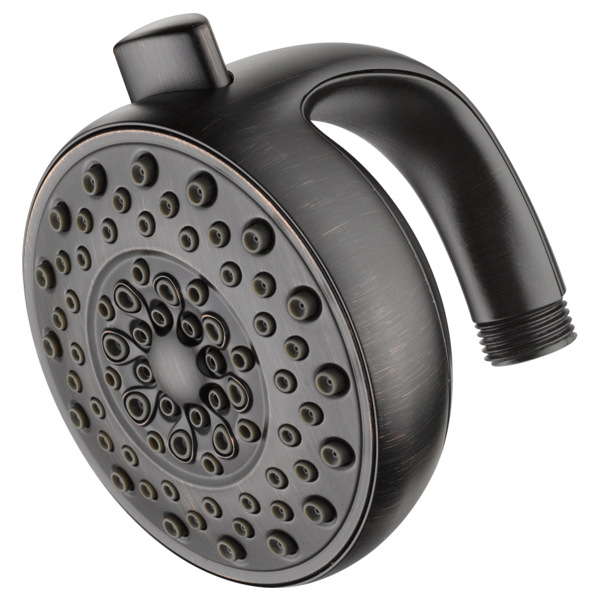 Engineered for ease-of-use and durability, the Palm Shower is the solution to soapy hands and hard-to-grip handles, with the versatility to be used as a hand shower or with a mount as a standard shower head. The pause setting gives you ample space for shaving, lathering and other shower tasks, then easily restarts the water with the temperature where you left off. This spray setting helps you conserve water, so you can worry less about depleting your supply of hot water - and you help the environment too. Delta WaterSense labeled faucets, showers and toilets use at least 20% less water than the industry standard—saving you money without compromising performance.